The Debunker: Did Kim Jong-il Claim to Have Shot Five Holes in One the First Time He Ever Golfed? The despotic, cult-like Kim dynasty has ruled the nation of North Korea since its 1948 founding. You probably assume that Kim Jong-un is the North Korean president today, but that's not technically true. According to the country's constitution, Kim is currently the "Supreme Leader" of the country, but the title of "Eternal President" stays with his father and grandfather, Kim Il-sung and Kim Jong-il. They will always be the official heads of state, though they died in 1994 and 2011, respectively. And you thought American millennials would never be able to retire! In fact, the story started in 1994, when Australian reporter Eric Ellis snuck into North Korea by posing as a golf course developer, hoping to write a story about the famine there. Park Young-nam, North Korea's only pro golfer, showed Ellis around, and regaled him all the while with tales of "Dear Leader"'s amazing acumen on the links—including, one occasion, five holes-in-one. But this wasn't an official North Korean claim, just one brainwashed citizen telling panicky tall tales to a tourist. Subsequent reports from North Korea have revealed that officials are unaware of the golf story that so delighted the West—and that North Korea's population was unaware that Kim played golf at all. In North Korea, golf is an elite sport, out of line with the Kims' image as champions of the common worker. Like all the expensive tastes of the Kim dynasty—the lobsters, the yachts, the Hennessy—Kim Jong-il's golf game never made it into the propaganda. 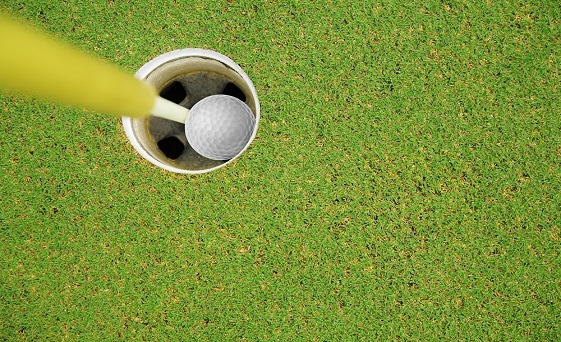 Quick Quiz: A record 517-yard hole-in-one was hit in 2002 by an amateur golfer in what U.S. city—perhaps the only U.S. city where it would be possible?